China and Pakistan started the China Pakistan Economic Corridor project in 2015, it is China’s largest investment in any foreign country to date and promises to be a game-changer for the entire region. The CPEC projects were initially worth $46 billion, now the worth has increased to more than $52.5 billion as China and the ADB agreed to lend $8bn to upgrade the main railway line from Karachi to Peshawar, more than half of the projects are an equity investment. These investments are more than twice the total amount of direct foreign investment here in Pakistan since 2008. The CPEC will generate an approximate 700,000 jobs in Pakistan and revenue worth billions of dollars for both countries, it would also provide Pakistan with a massive amount of essential infrastructure, energy investment and development. At completion, the Gwadar sea-port will handle 300 to 400 million tons of cargo every year, if compared with Long Beach, America’s largest port which handles 80 million tons a year, that is just 20% of Gwadar’s port capacity. The Modi government in neighbouring India views the largely economic project as a mega-scale naval mobilization program that threatens its security and an ominous pact between two of its oldest enemies, it tried to counter the threat by investing in the Iranian port of Chahbahar. India even abandoned its previous stance of ‘non-alignment’ to adopt a vehemently pro-American direction. 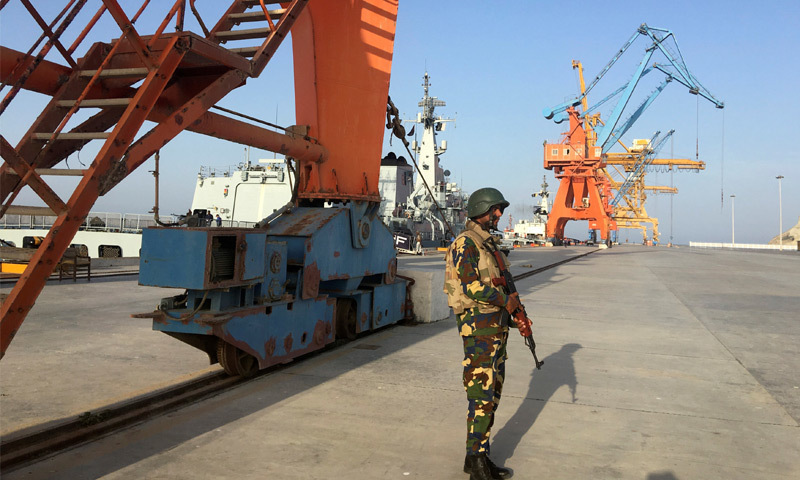 Ostensibly, to get support in its war against the CPEC, it signed the Logistics Support Agreement with the U.S. which will let the latter use all its airbases and military facilities. 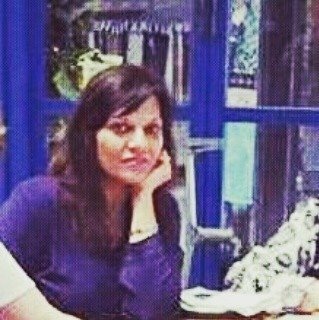 The credit for these aggressive policies belongs to Indian National Security Advisor Ajit Kumar Doval who visualised the grand strategy. The Modi government’s close relations with the U.S. miffed the Russians who decided to improve relations with Pakistan and supported the CPEC to enhance the economic stability of the entire region. Meanwhile, Modi went on his Free Balochistan stint to divert world attention from the Kashmir freedom struggle, this ploy not being well-received even by the U.S. which termed it Pakistan’s internal matter and expressed respect for its unity and territorial integrity. Soon after, right on the eve of the United Nations General assembly, an Indian brigade headquarters at Uri, near the Line of Control, was attacked by unknown miscreants. Predictably, India used this incident to demand most countries ‘isolate’ Pakistan, whom it blamed sans credible evidence. Russia disregarded the Indian edict, and Russian elite forces arrived in Pakistan for military drills in Gilgit-Baltistan and FATA regions. A counter-terrorism deal is also in the offing as Russia considers Pakistan a responsible state dedicated to fighting terrorism, it is also most willing to supply Pakistan with any military equipment it requires. Even as the Modi government tried to ostracise and isolate Pakistan, most regional powers worked on improving their ties with Pakistan. Recently, even India’s long-term allies Israel had a chance to meet up with Pakistan at the U.S. Red Flag air drills in which only four countries participated, Israel, UAE, Pakistan and the U.S., Pakistan is now familiar with the technology and tactics of both long-term Indian allies. Recently, even Iran has done a U-turn and wants to join the CPEC along with its Chahbahar port, where India spent good money for the last 10 years, developing it as a rival to Pakistan’s Gwadar. Iran’s main reason for this decision was that Modi started Free Balochistan propaganda to cover up the smouldering Kashmir issue. Iran changed camps immediately as this Indian move threatened to destabilise its own Baloch-populated Sistan province which lies in continuity with the Pakistani province of Balochistan. Iran can have a $100 billion worth of energy deals, there is also a proposal to link the Iran-Pakistan gas pipeline with China. Meanwhile, the Modi government depends on the U.S. for major support but historically, the U.S. has always depended on long-term ally Pakistan to maintain the strategic balance of the region and keep India containable. 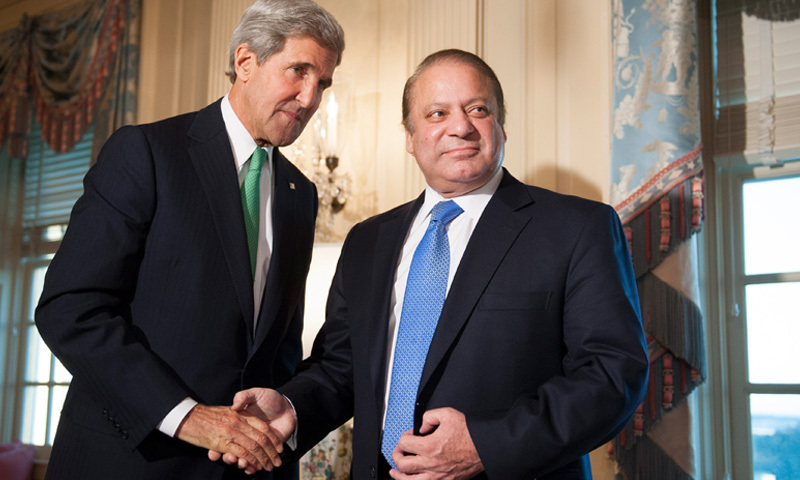 In the recent Nawaz / Kerry meet-up in New York, the latter praised Pakistani efforts in fighting terrorism and commended Pakistan on many other counts as well such as restoring macro-economic stability and recent efforts by Pakistani security forces to counter extremist violence. The U.S. has desisted from joining India’s high-pitched chorus on Balochistan and it refused to name Pakistan as responsible for the Uri attack, it has definitely no plans to ‘isolate’ Pakistan, place sanctions or label it as a ‘terrorist rogue state’ like Modi and Doval want. The U.S. shared Pakistan’s “strong concern over recent violence in Kashmir” and stressed on the need for Indo-Pak talks to reduce tensions. For sure, the U.S. will continue to play a constructive role in Pakistan, like it has for the past 70 years, it could even consider investing in CPEC aligned projects, it is a perfect opportunity for tri-lateral cooperation and world peace as the U.S. already has heavy economic and trade ties with China. For China, CPEC is its largest investment abroad to date, Modi is risking the Dragon’s umbrage by trying to sabotage its mega-investment irresponsible talk about Gilgit-Baltistan or Balochistan. China is already in a Cold War with India and keeping it busy in Nepal with proxy war, it will never roll up the CPEC, nor will the Russians wind up their promising military diplomacy with Pakistan. It is beginning to look as if Modi stands practically alone today, in his Kerala speech it became obvious that he needed a viable exit strategy after failing to isolate Pakistan. His initial bravado had petered out and he appealed to Pakistani masses for peace, the same masses whom his establishment, media and coterie of journos were threatening with nuclear war just days ago. He taunted Pakistan, saying it cannot look after Balochistan, Azad Kashmir or Gilgit-Baltistan, this statement reeking of jealousy of the CPEC. Pakistan is getting a huge amount of infrastructure, jobs and development that will put it on a progressive track. Modi is depending on war to win the next election but his army refused as it did not want to cross the nuclear threshold. 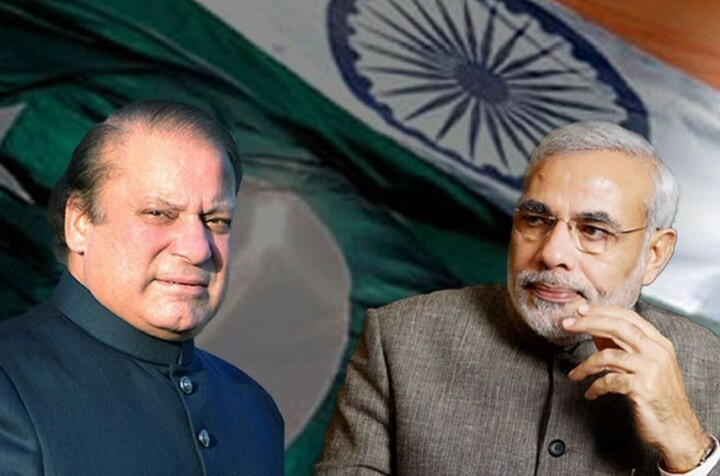 Modi saw most world powers visibly making efforts to improve relations with Pakistan, he must have felt the cold pinch of isolation as he moved to defuse his own self-created situation. It would not be wrong to say that Modi’s speech started with a bang and ended with a whimper. After this speech he claimed to be working on a “restrained strategy’ to make Pakistan pay for the Uri attack it is supposed to have executed, he came forward with a new threat to scrap the Indus Water Treaty and stop water supply to Pakistan which is against UN regulations. India seems to have no viable strategy under Modi, in reality, it can only posture but not scrap the Indus Water Treaty. This latest ploy would also cause Modi ‘a huge loss of face’ just like his previous ‘isolating Pakistan’ stint as China will also be free to use water as a weapon. After this, India sabotaged the SAARC meet which was to be held in Islamabad in November, this year China was to be introduced as a member by Pakistan so India backed out along with its ‘powerful allies’ Bangladesh, Afghanistan and Bhutan. After the SAARC fallout, China and Pakistan are planning a much bigger economic bloc of Asian nations. The situation may or may not escalate, but it is an unfortunate state of affairs between two nuclear powers. The Indian Army could not provide any evidence of the ‘surgical strikes’, no pictures or videos were available, the falsehood propagated to placate the Indian public, but was considered dubious by the more educated. Conflicting accounts emerged from Indian military sources, which makes it obvious that it was a hashed-up story for public consumption to bail out Modi politically. Right now, Modi is playing with fire in a nuclear environment, it is a rash and provocative stance just to cater to the domestic market. Limited war is not an option, Pakistan has reserved the right to retaliate to any Indian aggression in a swift, decisive and punitive manner. The Indian media is mostly under Modi influence, it whips the masses into a mad frenzy against Pakistan by distorting facts and starts pinning the blame on Pakistan even as news of an attack starts coming in. Later on the Modi government satisfies the public with false-flags and fake surgical strikes like the one it pulled off in Myanmar in 2014. 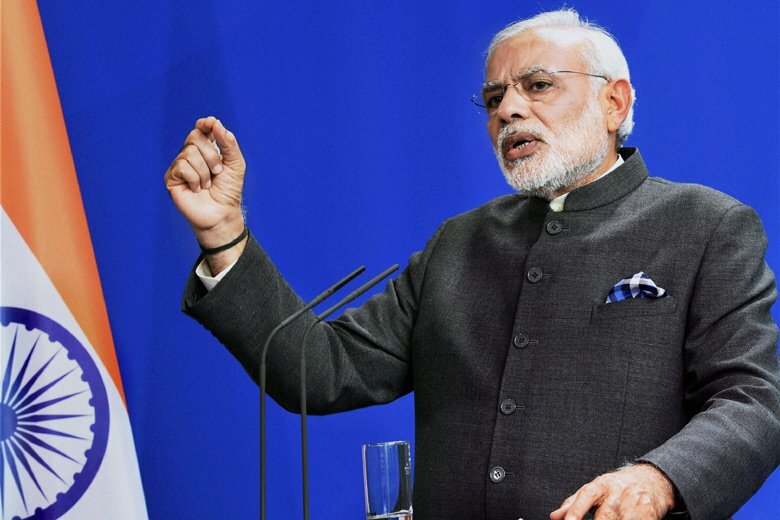 Modi has turned liberal India into a narrow-minded, fascist state without estimating the consequences and repercussions of nurturing such a rabid society. If India cannot give results through hard power, ultimately it will not be successful through projection of its soft power either. It has been unsuccessful in realising its military objectives in the last thirty years. India has caused a major shift in the regional balance of power just by its immature bid to isolate Pakistan, major regional powers re-balancing their tilt towards Pakistan instead. No world power will forego its strategic interests in as pivotally located a country as Pakistan. Eventually, in the end, India may have to change its posture and learn how to co-exist with Pakistan. This century is all about economy, food security and alleviation of poverty, it is time India is re-set on the path towards peace and prosperity. I write on Pakistan-centric and geopolitical matters to highlight Pakistan and its real potential vis a vis this region. This is my contribution for my country. A very enlightening article indeed. I personally believe eventually sanity will prevail among Indian politicians in the times to come and finally after settling the Kashmir issue will join the Cpec itself, its a logical option for India if it wishes to survive in the rapidly changing world.